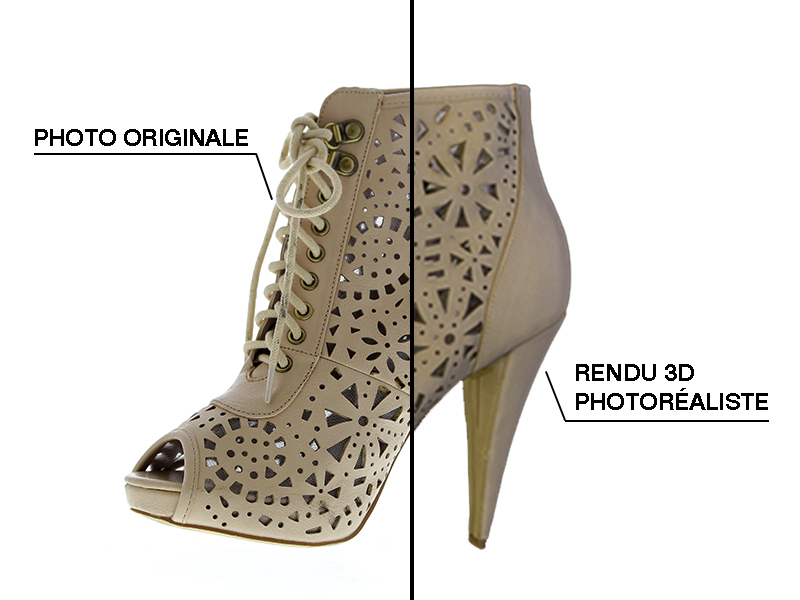 Simplified creation of photorealistic 3D product modeling. The modeling system that boosts the performance of your automated photo studio. From multi-angle view to augmented and virtual reality (AR/VR). 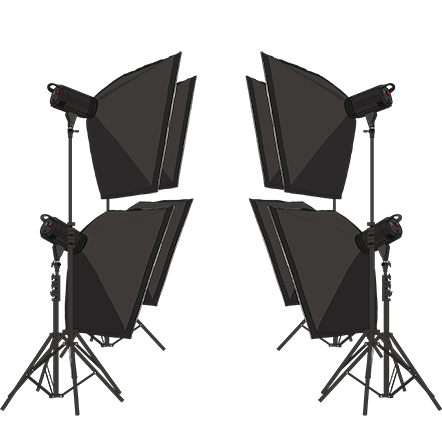 This is the ideal system for photographers and users who wish to work with their own basic and lighting systems. 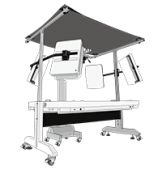 The MaestroBot Start is adaptable to an already existing product photo lighting system. 360° and 3D presentations: reveal your products with an ultra-fluid 3D view on tablet, smartphone, PC or Mac, without added plugins. Virtual visits: place your products in a playful environment (shops, museum galleries…). Enable your visitors to get familiar with your products. E-merchandising: ideal for shelf spaces, display arrangement, or the creation of 3D planograms. Configurators and product simulators: visualize your custom product. Augmented reality: virtual try-ons, 3D immersion…Your most creative projects come to life. You no longer need to manually restore the whole process of 3D objects modeling. It suffices to place the object on the rotating plate and launch the shooting from the software. With few clicks, create the point cloud, the mesh, apply the texture onto the 3D model, and capture the product from all angles. Each step is automated, from image acquisition to different angles, all the way to the generation of the 3D object. The generated virtual 3D object presents extremely accurate colors and material. 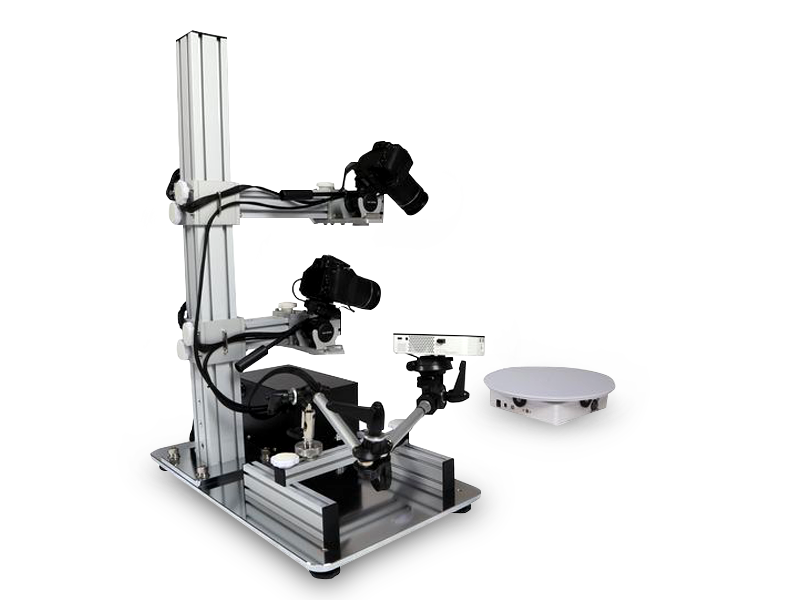 The 2 cameras of the MaestroBot Start are pre-positioned to capture, with optimal precision and in just few clicks, all of your product’s angles. You no longer need to handle the cameras during your photo shoot, or configure the shooting angles yourself. 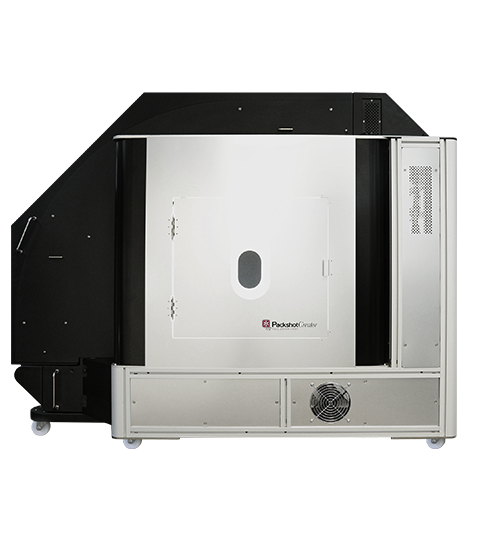 Predefine prior to the shooting from the PackshotViewer software the shooting angles, or capture your product at 360° for a complete, interactive presentation. 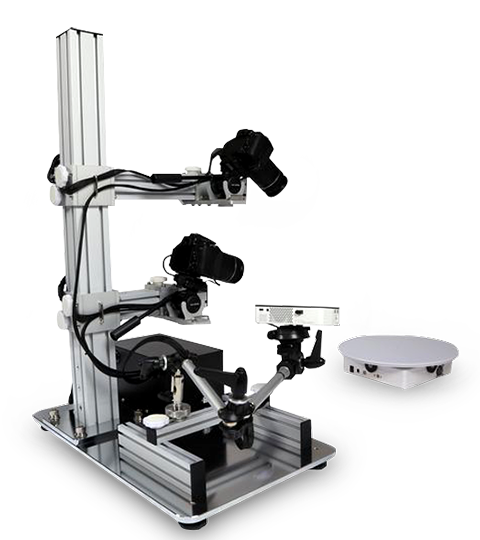 The true dimensions of the product are recreated thanks to the precalibrated system that allows the software to automatically recognize the angles from which the product was photographed, and therefore the real size of the product. 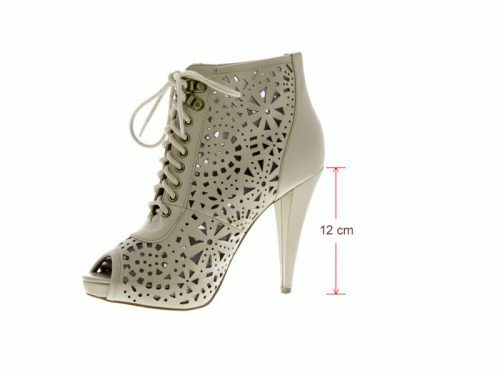 With just a few clicks, the vast majority of products can be scanned. 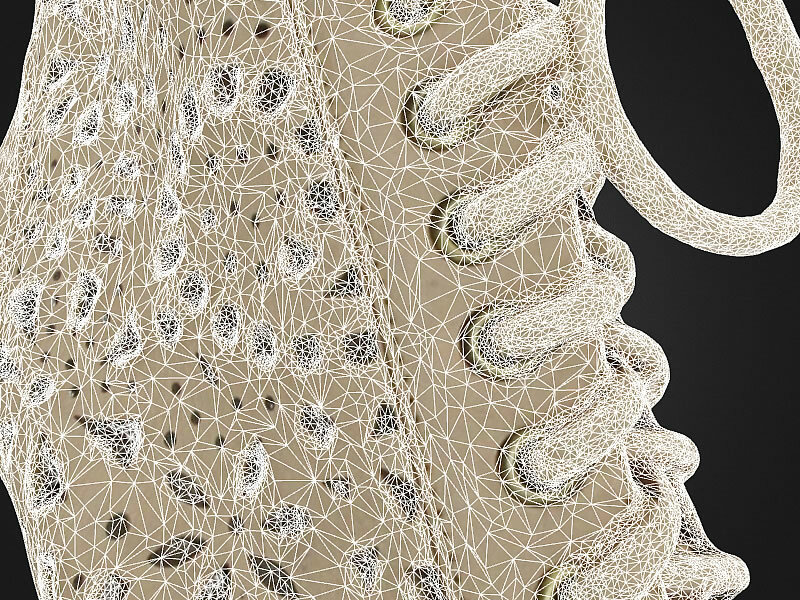 The software can model a part of the product (the underside of a shoe, for example) that would not be visible during the shooting, and then assemble it onto the final virtual 3D model. Embanet is an e-commerce company specialized in tableware, more particularly in dishware. We had to propose professional quality photos to our clients so that they can judge the true value of the products. Moreover, we save a considerable amount of time and money by internally producing all our photos. I wanted to make quality visuals, with a respect for colors, without being an expert in photography. With PackshotCreator, I simply creating still photos without pushing the camera settings, which takes time, patience, and many trials. Simplified creation of photorealistic 3D models of your products. The 3D virtual system combined with PackshotCreator R3. 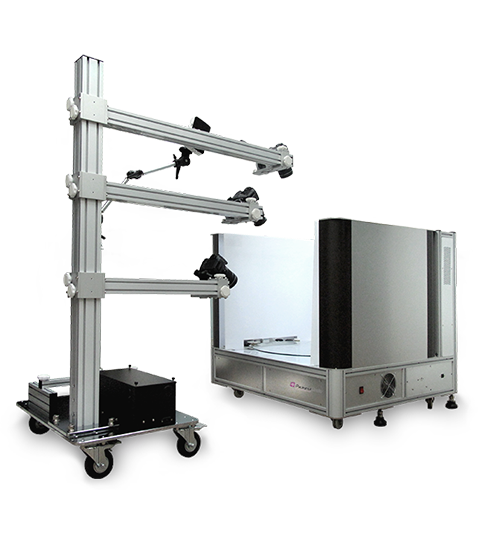 The only all-in-one, entirely robotic photo studio for all product images in-house. Video : MP4, MOV, AVI. 3d/modeling: Collada, X3D, STL, 3DS, OBJ. Pico image projector and structured light templates. Camera position system.PackshotCreator and PackshotViewer softwares. Canon EOS 700d + 18-135mm lens (18MP). Plate: 39x9 cm (ØxH) combined with PackshotSpin O3T. Studio size : 100x100x96 cm combined with PackshotCreator R3. Articuled arm size : 70x 110x146 cm. Compatible with PackshotStart + and PackshotSpin O3T solutions. Are you aware of our PackshotOnboarding consulting offer? 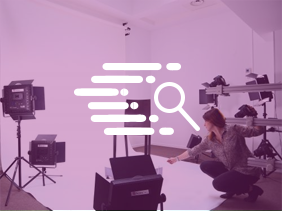 Discover how to optimize your visual production flows.